Christmas celebrations all over the world. Merry Christmas!!!! In this festive season, people often spend (be online / shopping etc). This gave me an idea, why not to try payments using Flutter. This article uses the Stripe SDK and Cloud Firestore for storing the necessary payment information…. For basic information related to Cloud Firestore, please refer my previous article. 4. For the list of apis provided by Stripe, refer the link. The publishable key is the Publishable key from the API keys (Stripe)…. When you create a new card, you must specify a customer or recipient on which to create it. To charge a credit card or other payment source, you create a Charge object. The API supports idempotency for safely retrying requests without accidentally performing the same operation twice. For example, if a request to create a charge fails due to a network connection error, you can retry the request with the same idempotency key to guarantee that only a single charge is created. For more info on idempotency refer link. 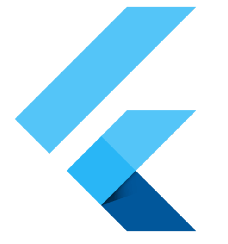 Flutter + Stripe + Firebase— All charges..
where cust_id is the same as the one in Stripe call 1….. When you create a new refund, you must specify a charge on which to create it. The charge ID is the id which we received for transactions..